Last night was dreamy in our twinkle lit Brooklyn apartment. Beautiful friends filled the kitchen and living room, finding spots by the christmas tree, the couch, or the even content on the floor cause sweet babies are on that level:) ..and apartment is small! Although the sound of faint christmas music came from the distance corner, when I listened all around, the most beautiful music to me was the laughter, the voices. Home full, hearts full. This is Christmas. 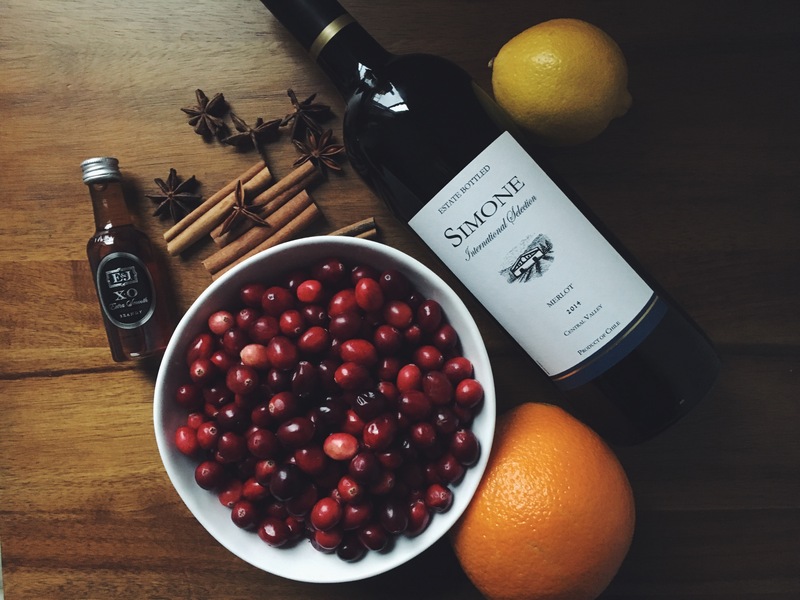 Earlier in the afternoon, I gathered ingredients for a holiday drink. 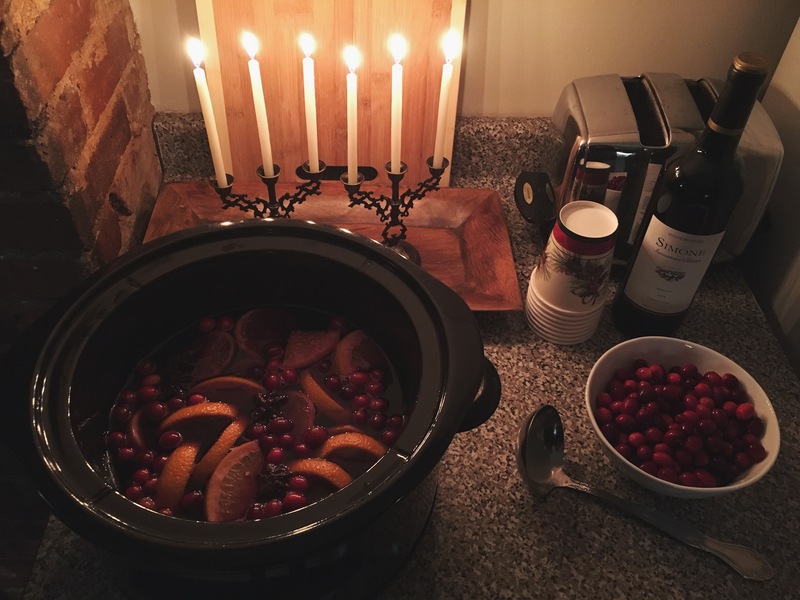 Mission was fulfilled with a Crockpot full with warm, aromatic, Spiced Mulled Wine. To dissolve the sugar, use 1 cup of apple juice on the stove, stirring in the sugar until it simmers for a couple minutes. Add this and all remaining ingredients to the Crockpot. Cook on high for 2 hours, stir occasionally throughout, then place on “warm” for remainder of the evening. I added more cranberries as the night went on, since they get scooped up into cups. Glorie, I love your blog! It’s really beautiful and I look forward to trying some of your delicious dishes. Hope all is going well.